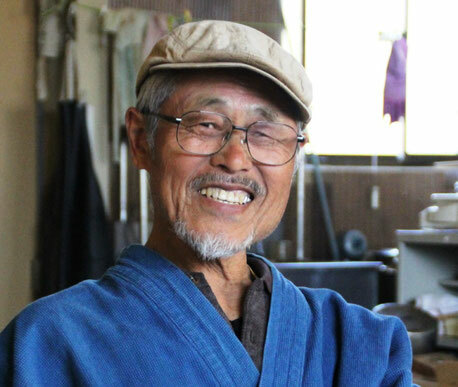 It is this one, Tadakazu Suzuki of the dyeing with vegetable dyes craftsman to let you use the studio as a meeting place when you hold two a month shops of the はままつ shirt. Of course work clothes and the hunting cap hat of the suitability are dyeing with vegetable dyes of the person, too. I let you feel a very comfortable soft texture. 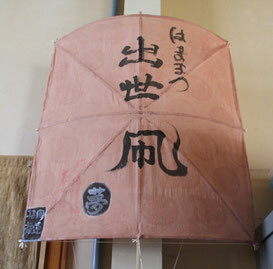 And the kite which was written as "はままつ success in life kite" when I entered the studio caught eye. The cloth which Aoi crest of a noble family and a bonito of the honewort were interwoven in is performed dyeing with vegetable dyes of when I look well. 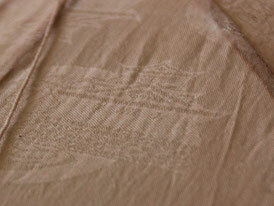 "The original cloth which "Hamamatsu made for the haiku of the 10, Matsushima lake called a success in life castle or the first skipjack" (はつがつお) as for this." Because there is the cloth which designed Hamamatsu Castle, an image seems to be completed when I want to make a miniature success in life kite of the Hamamatsu Festival. 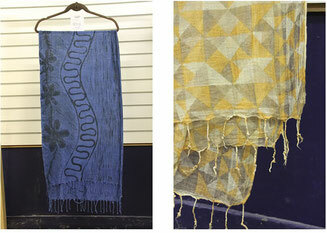 Is Suzuki playing an active part as a dyeing with vegetable dyes craftsman,; but, in fact, originally is a weaver. I learn a grasshopper technology by self-education and I introduce a weaving machine in 1970 and am founded. Thereafter I continued weaving original cloth in tandem with a wife. 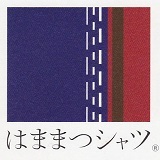 Suzuki "who came for always making the new cloth which I could not weave with others." It seemed to be a few weavers who dealt with the wide cloth of 190cm. 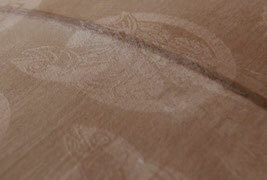 However, I get out of shape in front of 70 years old and give up the weaver work that I continued for many years. However, I started the life when the second could drive it when "dyeing with vegetable dyes would do the cloth because there was a lot of cloth which I finished weaving so far". Repetition of the experience practical with a book at basics of the dyeing with vegetable dyes for the investigation, ancient people in a technique as for the learning, the trace. I wore a technique for the delicate craftsman sense that I trained in grasshoppers steadily and polished it more. 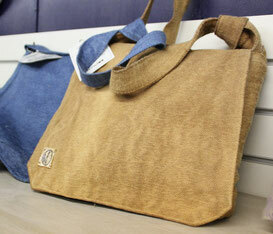 Then dyeing with vegetable dyes comes up with a new idea. 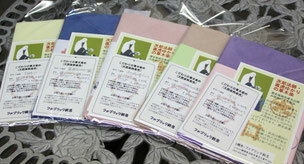 "I have そうだ, the trees and plants of the venerable Shinto shrine Buddhist temple and will make it with them as dye". I went to the cause of the chief priest of the each Mt. 5, Hubei of the Hamamatsu connection many times immediately and conveyed a feeling. And I had a ready consent from all temples, and "湖北五山染" of "湖北五山染" (bamboo of ginkgo, the Hohrin temple of wisteria, Daifukuji of cedar, 摩訶耶寺 of the azalea, 龍潭寺 wide temple) was born. Besides, the colored leaves dyeing of cherry tree and small country Shrine of the Hamamatsu Castle is very popular, too. Stall, hat, bag, handkerchief…The original works of Suzuki are really a great variety of. It "is nature itself to treat". Therefore the color -colored way of coming out of weather and trees and plants varies. I am always excited at the exquisite beauty that how is dyed. Suzuki that really second craftsman spirit caught fire. I brightened eyes when "I wanted to challenge a new idea with natural power to have from the trees and plants again" and talked.